Blackberry shares rose Monday on rumors that it could replace Microsoft to operate Ford Sync. Blackberry shares rose Monday on rumors that it could replace Microsoft to power Ford's future generation cars with smartphone technology. The technology allows drivers to make phone calls, read text messages and play music hands-free -- and in some versions allows users to also control smartphone apps. Millions of Ford cars are already equipped with the technology, called Ford Sync. Since it was introduced in 2007, Ford (F) has partnered with Microsoft (MSFT) to operate the system. Shares of Blackberry (BBRY) were up about 8%. The automaker would not confirm if it was dropping Microsoft for Blackberry. Spokeswoman Susannah Wesley said: "Ford and Microsoft are longtime partners, and we continue working together for the future." She said Ford works with a variety of companies for its in-car connectivity systems and that it does "not discuss details of our work with others or speculate on future products for competitive reasons." Neither Microsoft nor Blackberry responded to requests for comment. Both companies work with automakers on providing similar technology. Microsoft has partnerships with Fiat, Nissan and Kia. The Blackberry-owned software system called QNX is used in Audi and BMW vehicles for navigation and music. Earlier reports suggested that QNX would operate future versions of Ford Sync. If true, Ford would be one of QNX's biggest customers. The car company faced criticism in 2011 for the Sync system freezing and crashing. 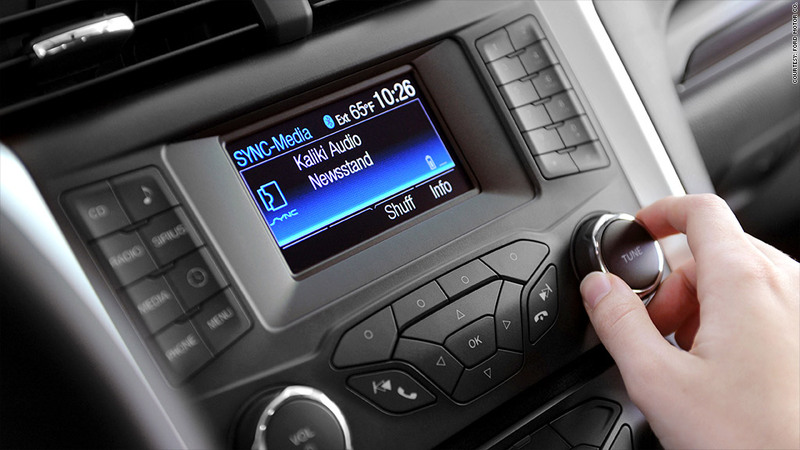 Ford said it expects to make its newest Sync version available on another 3.4 million vehicles this year.